Despite claims that HTC is the company behind the making of the Google Pixel and Pixel XL, the Taiwanese tech giant is not having the best of times in terms of revenues in the smartphone world. Ever since the launch of the HTC One M9, things haven’t been great for the company. The company even realized some of its mistakes and tried to rectify with the One A9, but this was just a mere midrange phone with a slick, iPhone-like design. Like its predecessor, the One A9 did do the company any justice in the smartphone industry. With the release of the HTC 10, the company thought it had nailed it, but other OEMs came in with even better devices that were priced more affordably than the 10. As a result, the story of the company’s poor performance in the industry went on. There have been several instances where the price of the HTC 10 has been discounted in order to lure in more buyers and probably up the overall revenue, but the success has been insignificant. The latest move by the company now sees the price of the HTC One M9 dropped to $300, down from $499. The model being sold is unlocked and according to the OEM, it is compatible with T-Mobile and AT&T. Being a 2015 flagship, the One M9 comes with high-end specs, though these are a year old. 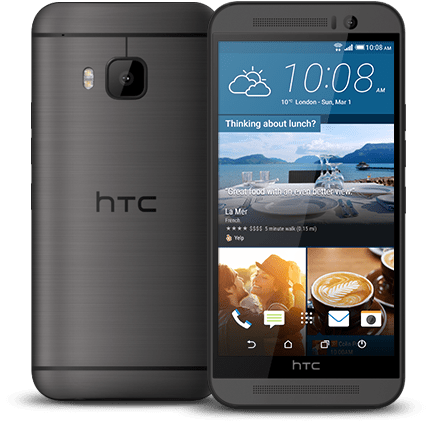 Going by the current standards, the HTC One M9 has a mini-sized 5-inch Full HD screen and under the hood, it carries the Snapdragon 810 SoC, a chipset that was accused of overheating problems. Further deeper, you get a RAM of 3GB and onboard storage of 32GB and room for microSD card storage. At the moment, the One M9 has already been updated to Android Marshmallow, but the company has already confirmed that Android Nougat will be coming to the device. The back of the One M9 has a 21MP sensor with f/2.2 aperture. As for the front part, you get a 4MP sensor with a slightly larger aperture of f/2.0. To keep it alive, HTC packed a 2840mAh battery and like the One M7, you get the legendary BoomSound stereo speakers on the front. Do you think the HTC One M9 is worth the reduced $300 price tag? Share your thoughts with us in the comments. Next Next post: Android OS Accounts for 87.5% of all Global Smartphones – Where is iOS and Windows?